In homes and businesses with fuel-burning appliances, carbon monoxide exposure is a possibility. Carbon monoxide (CO) is created when incomplete combustion occurs, which can happen with a gas or oil furnace, boiler, water heater, or dryer. It is odorless and colorless, so humans cannot readily detect exposure. These systems are vented so that CO can safely escape the structure, but faulty systems could lead to carbon monoxide building up indoors. Heavy exposure could cause death; below are warning signs of carbon monoxide exposure and how you can protect yourself. It can be difficult to detect carbon monoxide exposure, as many symptoms are similar to those associated with the common cold or flu. Exposure to minor levels of carbon monoxide may cause headache, fatigue, and/or nausea. Exposure to moderate levels of carbon monoxide may cause extreme headache, disorientation and confusion, drowsiness, and accelerated heart rate. Exposure to high levels of carbon monoxide may cause cardiorespiratory failure, loss of consciousness, seizing, brain damage, and death. Approximately 500 people lose their lives each year in the United States due to carbon monoxide poisoning. Because CO cannot be detected by humans easily, carbon monoxide detectors are a must in any home or building which utilizes fuel-burning appliances. 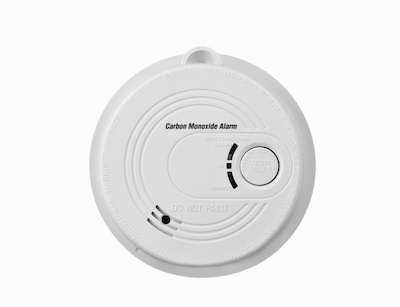 At minimum, there should be one carbon monoxide detector on each level of a structure. Working with an HVAC technician to install carbon monoxide detectors will ensure they are working correctly and properly placed to offer essential protection. If your furnace requires repair due to a carbon monoxide leak, call Climate Control today. We also install carbon monoxide detectors for Lexington homes and businesses, to help save lives from undetected carbon monoxide exposure. Contact us today to learn more. Can Lightning Damage My Lexington Home’s HVAC Systems?